Welcome Sawasdee Inn Bangkok Bangkok, Hotel Thailand. Limited Time Offer! Sawasdee Welcome Inn. 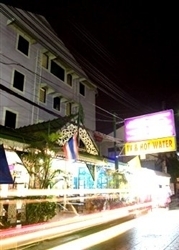 Hotel "Sawasdee Welcome Inn" has acquired 1 star. This hotel is a convenient base from which you can explore Bangkok. The temperature of the bedrooms is never too hot thanks to the relieving air conditioning. You have the opportunity to offer yourself a relaxing massage. The onsite restaurant serves a tasty dinner. To add to your stay, there is breakfast available. Staying connected with your friends and family is made possible by the Internet that is provided.